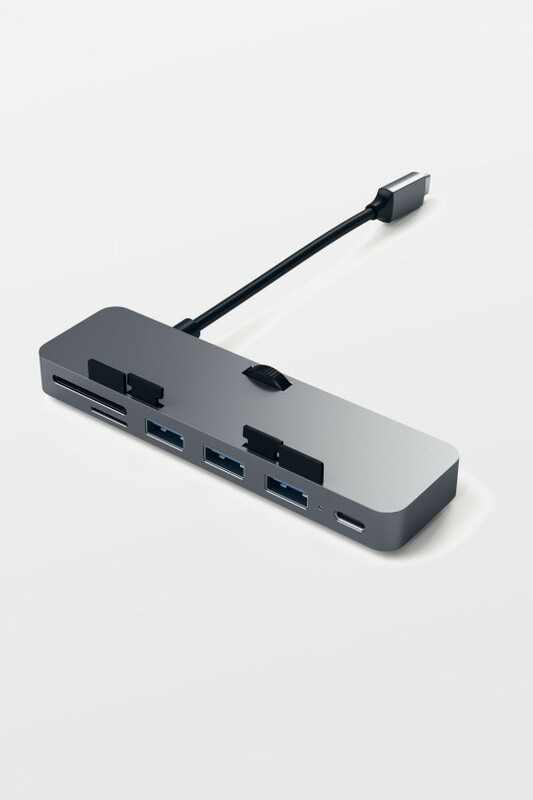 USB-C adapter for Macs and iPad Pro. 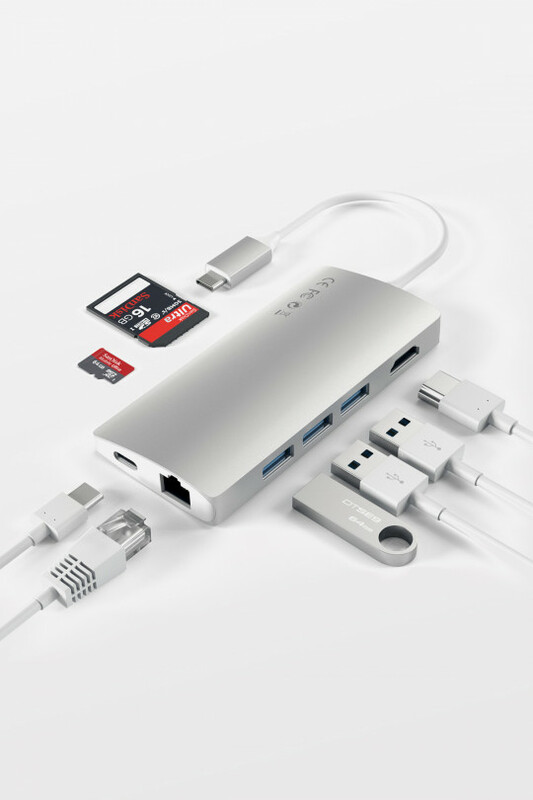 The Satechi Type-C 2-in-1 USB 3.0 Aluminium 3-Port Hub with Ethernet Port is a high-speed network solution for laptop or desktop users. This hub enables direct connection to a network via USB port, eliminating the hassle of disassembling your computer. 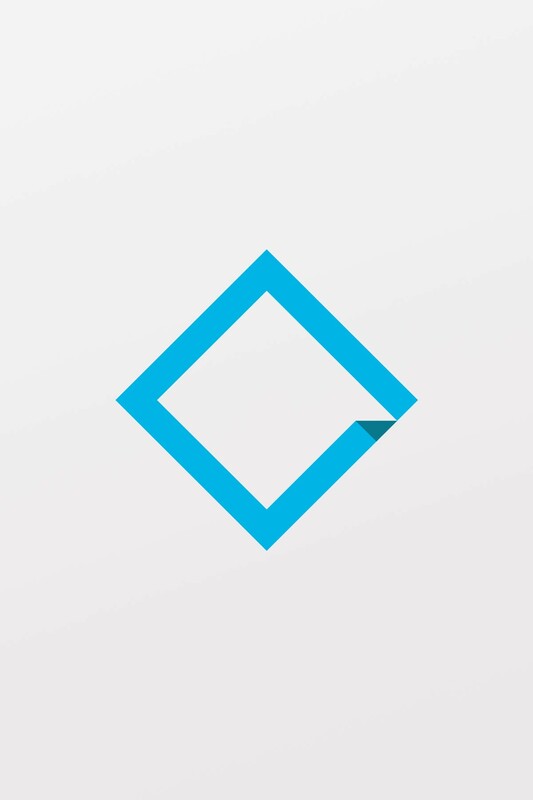 It allows instant connection, supporting 10/100/1000 Mbps for high-speed connectivity, important for file sharing, downloads, streaming, web videos, and more. The 2-in-1 hub has 3 USB 3.0 ports for fast data transfer and quick access to USB-A devices and is equipped with a convenient LED light to indicate when the device is powered. 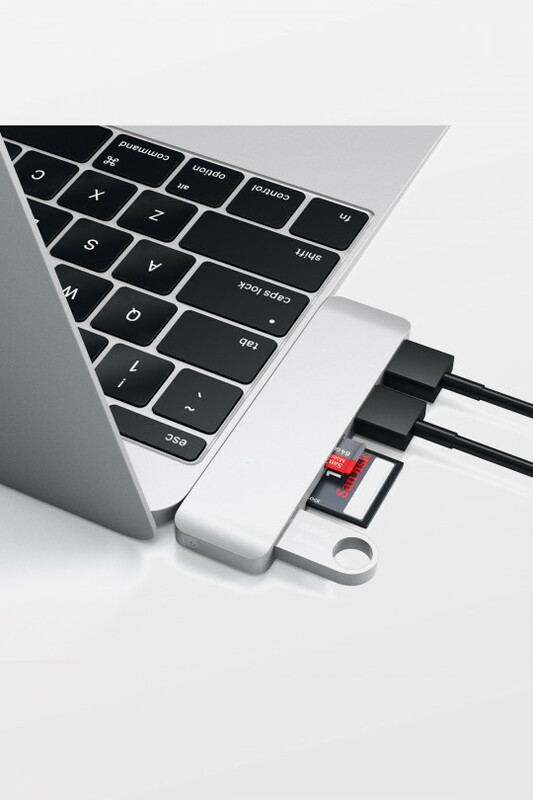 Simply, plug in the Type-C connector into your laptop's USB-C port and connect your USB devices.